An anime music video (AMV), known in wasei-eigo as MAD (music anime douga), typically is a fan-made music video consisting of clips from one or more Japanese animated shows or movies set to an audio track, often songs or promotional trailer audio. The term is generally specific to Japanese anime, however, it can occasionally include American animation footage or video game footage. AMVs are not official music videos released by the musicians, they are fan compositions which synchronize edited video clips with an audio track. AMVs are most commonly posted and distributed over the Internet through AnimeMusicVideos.org or YouTube. Anime conventions frequently run AMV contests who usually show the finalists/winner's AMVs. AMVs should not be confused with music videos that employ original, professionally made animation (such as numerous music videos for songs by Iron Maiden), or with such short music video films (such as Japanese duo Chage and Aska's song "On Your Mark" that was produced by the film company Studio Ghibli). AMVs should also not be confused with fan-made "general animation" videos using non-Japanese animated video sources like western cartoons, or with the practice of vidding in Western media fandom, which evolved convergently and has a distinct history and fan culture. Parallels can be drawn between AMVs and songvids, animaeted fan-made videos using footage from movies, television series, or other sources. The first anime music video was created in 1982 by 21-year-old Jim Kaposztas. Kaposztas hooked up two VCRs to each other and edited the most violent scenes from Star Blazers to "All You Need Is Love" by The Beatles to produce a humorous effect. Raw Editing: Using basic zooming in and out "effects" along with simple transitions. FX (Effects) Editing: This style consists of tons of visual effects. This can be accomplished in programs such as Sony Vegas or Adobe After Effects. Flow Editing: This requires the editor to use transitions and to keep the AMV flowing rather than to have it consist of rough cuts and choppy parts. Animation Editing: Although it sounds similar to the term AMV editing, it is a new style where editors take a still image and animate it (making it move) (This also applies to Manga Music Videos (MMVs) which are similar to AMVs, instead they use manga as the main source of footage). Masking: This style requires the editor to remove the background from the anime scene they would like to add effects to. It is a painstaking and time-consuming process. John Oppliger of AnimeNation has noted that fan-produced AMVs are popular mostly with Western fans but not with Japanese fans. One reason he cited was that Western fans experience a "more purely" visual experience inasmuch as most Western fans cannot understand the Japanese language, the original language of most anime, and as a result "the visuals make a greater impact" on the senses. The second reason he cited was that Westerners are "encouraged by social pressure to grow out of cartoons and comics during the onset of adolescence" whereas Japanese natives grow up with animation "as a constant companion"; as a result, English-speaking fans tend to utilize and reconstruct existing anime to create AMVs whereas Japanese fans "are more intuitively inclined" to create or expand on existing manga and anime. The Japanese culture is generally permissive with regard to the appropriation of ideas. Works such as dōjinshi, unauthorized comics continuing the story of an official comic series, are actually encouraged by many anime makers. These dōjinshi take an original copyrighted work and expand upon the story, allowing the characters to continue on after, before, or during the original story. Most anime producers encourage this practice, as it expands their series. Some see it as a tribute while others see it from a business viewpoint that it draws in more support for the anime than it would have had otherwise. Some manga artists create their own dōjinshi, such as Maki Murakami's "circle" Crocodile Ave (Gravitation). It seems that American anime distributors hold a similar sort of view in regards to AMVs. In an interview with site AnimeNewsNetwork, FUNimation Entertainment copyright specialist Evan Flournay said they generally see AMVs as a sort of free advertising. "The basic thinking going into fan videos is thus: if it whets the audience's appetite, we'll leave it alone. But if it sates the audience's appetite, it needs to come down," he says. In recent years there has been an increased demand, primarily on the part of the record industry, for the removal of AMVs from sites like YouTube and AnimeMusicVideos.org, with particular regard to YouTube due to its relative popularity as well as its for-profit status. Public discussions and perspectives give varying accounts of exactly how widespread these actions have become. 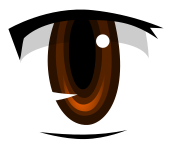 Most notably in November 2005, the administrator of AnimeMusicVideos.org (Phade) was contacted by Wind-up Records, requesting the removal of content featuring the work of the bands Creed, Evanescence, and Seether. While music labels and corporations generally see AMVs in negative light, often the actual musical artists in question do not hold the same views. A number of AMV editors report to having had positive contact with various artists, including Trey Gunn and Mae. Japanese electronic duo Boom Boom Satellites even teamed with site AMVJ Remix Sessions to sanction an AMV competition to help promote one of their singles, going so far as to provide the source material for editors to use. The winner's video would be featured during one of the pair's tours. The first of this competition took place in January 2008 using the song "Easy Action" and the anime movie Vexille. A second competition took place later that year in November using the song "Shut Up And Explode" and the anime Xam'd: Lost Memories. In his book Code: Version 2.0 and a subsequent talk in Google's AtGoogleTalks Author's Series, Creative Commons founder Lawrence Lessig specifically mentions AMVs as an example when dealing with the legality and creative nature of digital remix culture. ^ Macias, Patrick (2007-11-15). "Remix this: anime gets hijacked". The Japan Times. Retrieved 2009-10-20. ^ AnimeCons TV (2 October 2011). Jim Kaposztas Interview. AnimeCons TV. Retrieved 1 June 2018. ^ Oppliger, John (2003-09-08). "Ask John: Why Are Anime Music Videos so Popular?". AnimeNation. Archived from the original on 2009-04-30. Retrieved 2009-09-08. ^ Oppliger, John (2005-06-23). "Ask John: Why Hasn't Doujinshi Caught on Outside of Japan?". AnimeNation. Archived from the original on 2012-01-11. Retrieved 2009-09-08. ^ Lessig, Lawrence (March 25, 2004). "Chapter One: Creators". Free Culture. Authorama.com. Retrieved 2009-09-08. This is the phenomenon of dōjinshi. Dōjinshi are also comics, but they are a kind of copycat comic. The creation of dōjinshi is governed by a creators' ethic stating that a work is not dōjinshi if it is just a copy; the artist must make a contribution to the art he copies by transforming it either subtly or significantly... These copycat comics exhibit significant market penetration as well. More than 33,000 "circles" of creators from across Japan produce dōjinshi. More than 450,000 Japanese come together twice a year, in the largest public gathering in the country, to exchange and sell them. This market exists in parallel to the mainstream commercial manga market. In some ways, it obviously competes with that market, but there is no sustained effort by those who control the commercial manga market to shut the dōjinshi market down. It flourishes, despite the competition and despite the law." ^ "Chicks On Anime: Copyright Enforcement Interview". Interview with FUNimation Entertainment copyright specialist Evan Flournay, posted on AnimeNewsNetwork May 5, 2009. ^ "AMVs and Funimation's Copyright enforcement comments". Discussion on the AnimeMusicVideos.org forum, thread created May 5, 2009. ^ "Evanescence, Seether and Creed videos no longer available". Discussion on the AnimeMusicVideos.org forum, thread created November 15, 2005. ^ "Musical artists who like AMVs". Discussion on the AnimeMusicVideos.org forum, thread created March 11, 2009. ^ "BoomBoomSatellites x Vexille Promotion Contest". Discussion on the AnimeMusicVideos.org forum, thread created January 16, 2008. ^ "BoomBoomSatellites x Xam'd Promotion Contest". Discussion on the AnimeMusicVideos.org forum, thread created November 20, 2008. ^ "Authors@Google: Lawrence Lessig". Lawrence Lessig, author of "Free Culture," visits Google's New York office as part of the Authors@Google series. This event took place on October 3, 2006. This page was last edited on 18 April 2019, at 18:39 (UTC).